Jane has over fifteen years’ experience as a consultant, facilitator, and coach specializing in the fields of leadership and communication and has worked as an associate with Conversant since 2012. Clients range from a broad range of industries, including healthcare, finance, and banking, retail and hospitality, energy, technology, and logistics. Her work focuses on classroom facilitation and one to one coaching. Jane has significant international experience and is a fluent French and German speaker. She has led group programmes across the world in English, French and German. Jane is a strong believer in the power of effective communication to drive better performance and collaboration at the individual, team and organizational levels. Her work focuses on helping leaders develop stronger working relationships with colleagues through better quality conversations and enhanced emotional intelligence. Prior to running her own business as an independent consultant, Jane worked as a Vice President and Senior Project Leader with Forum Europe’s Customer Experience practice where she was responsible for leading major change projects. In her earlier career, Jane worked as a Change Management Consultant for the NatWest Group, providing internal consultancy services to all areas of the Bank. 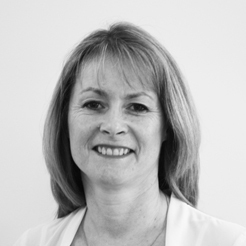 Based in the Peak District, UK Jane enjoys spending her spare time hiking and watching rugby. She also enjoys travel, reading, and theatre. Jane has a joint honors degree in French and German (with distinction in spoken French) from Nottingham University and is ACIB qualified. Her client experience includes: American Express, Bayer, BP, BT, Cisco, Coca-Cola, Credit Suisse, Deutsche Bank, DuPont, Eurostar, GE, HP, Honeywell, Johnson and Johnson, Marks and Spencer, Microsoft, Novartis, Sainsbury’s, Sheraton Hotels, Sun Microsystems, Unilever, Waterstone’s.